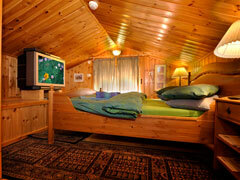 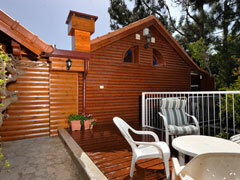 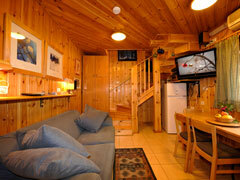 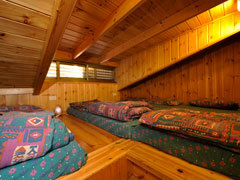 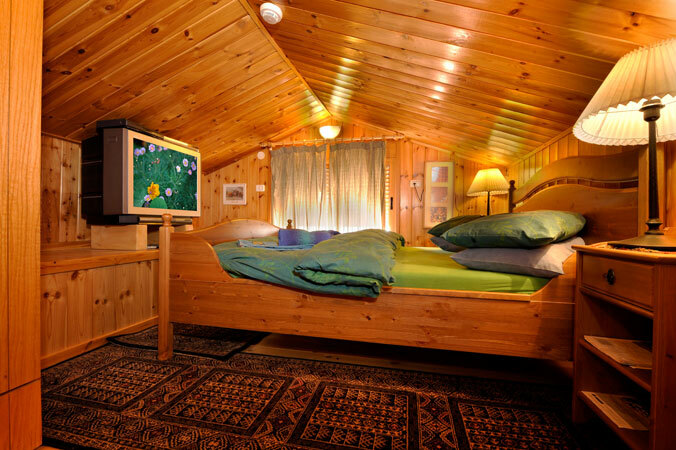 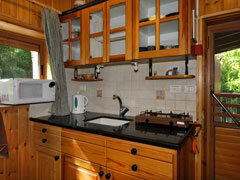 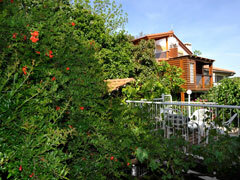 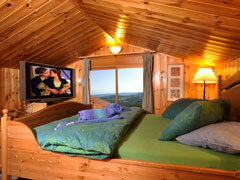 Wooden suite: 3 levels with gallery and romantic bedroom in Swiss-Attic style. 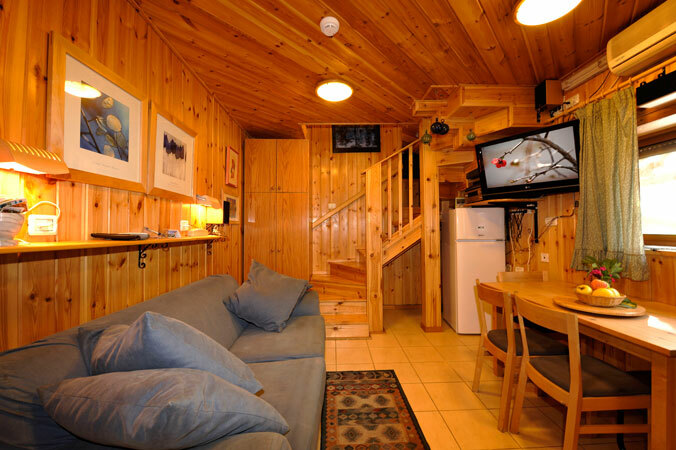 Wooden penthouse suite integrating 3 levels with the porcelain-tiled entrance level, leading to the living room with its couch, kitchenette, dining corner and wardrobe. 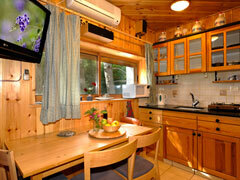 The living room has a Home Theater System and an AC system for independent heating and cooling. 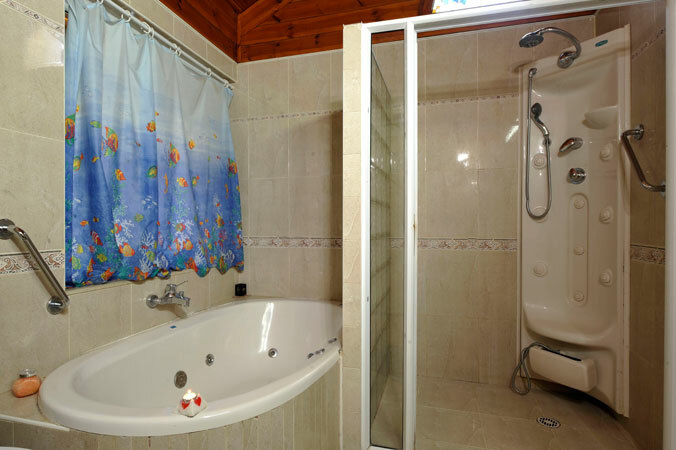 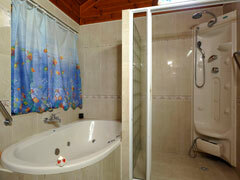 A very spacious bathroom with a high wooden ceiling has a double jacuzzi as well as a stand-up jet shower jacuzzi and WC. 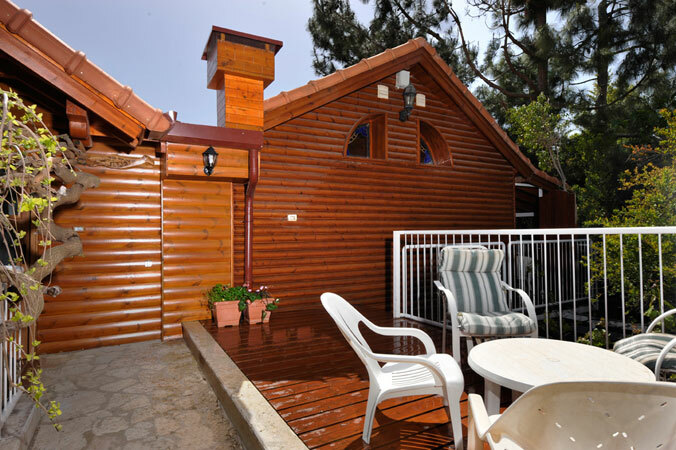 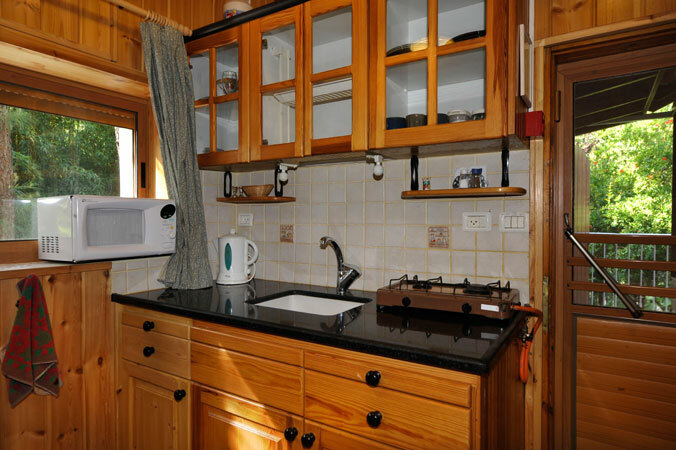 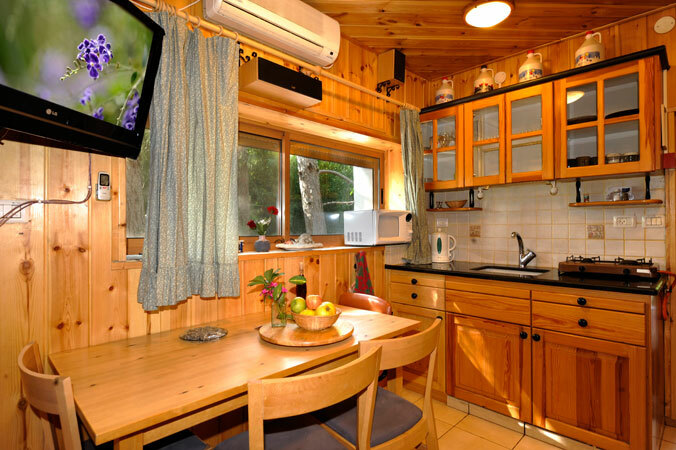 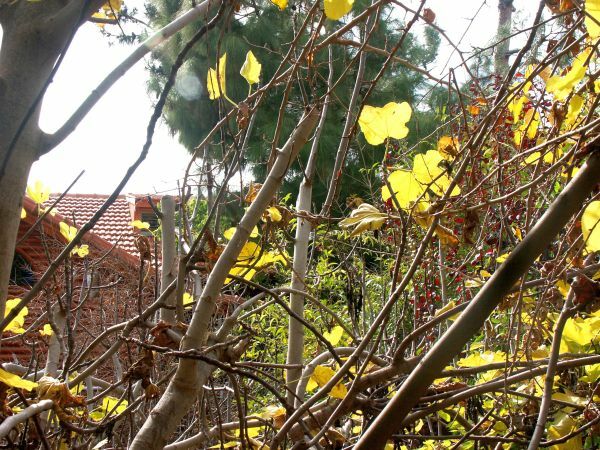 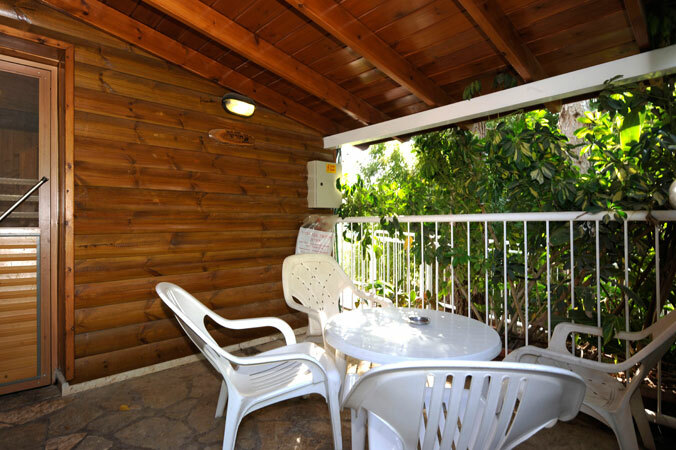 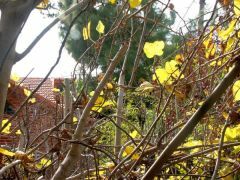 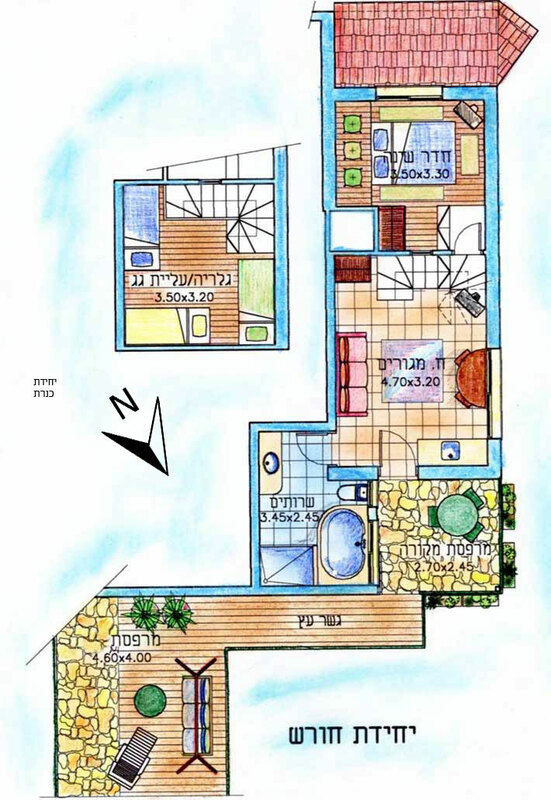 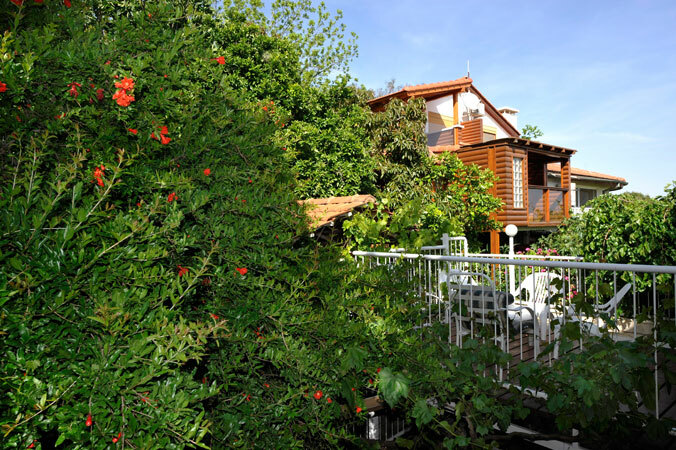 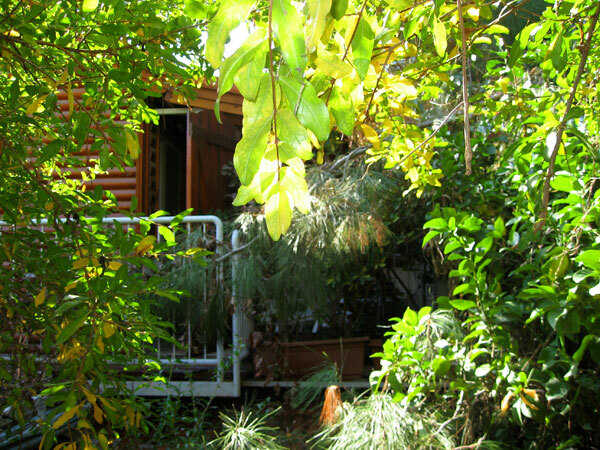 The middle level has a "Swiss attic"-style double bedroom with slanted wooden ceiling, wood floor, and another wardrobe, an extra TV set and AC system for independent cooling/heating, this room overlooks a view of the Galilean hills. 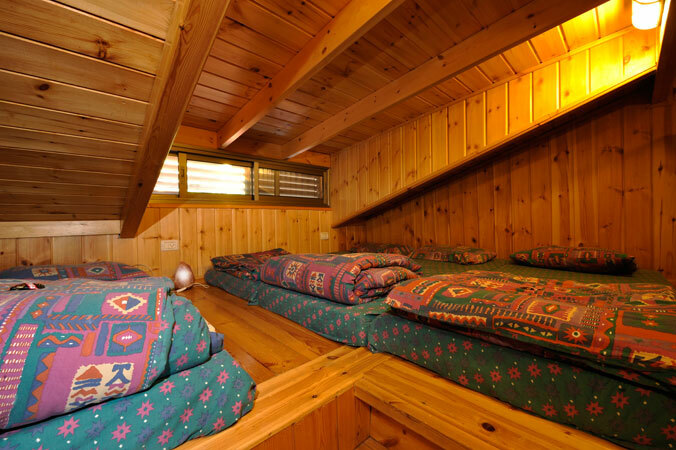 The upper attic level consists of a very low gallery with a dormer window & wooden floor, on which are 4 mattresses, and here too is an extra TV set and an AC system for independent heating/cooling. 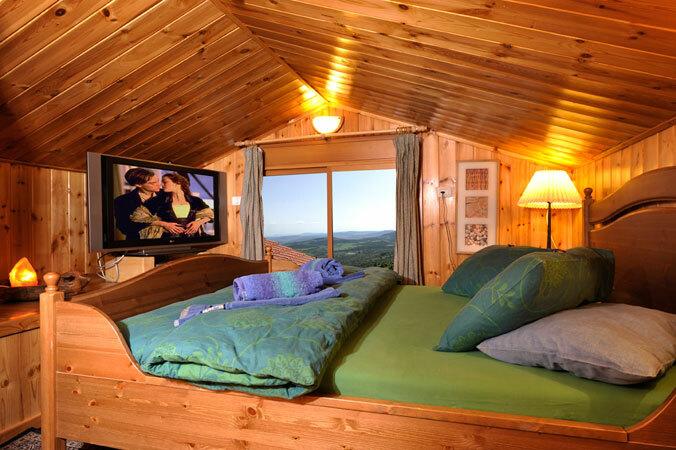 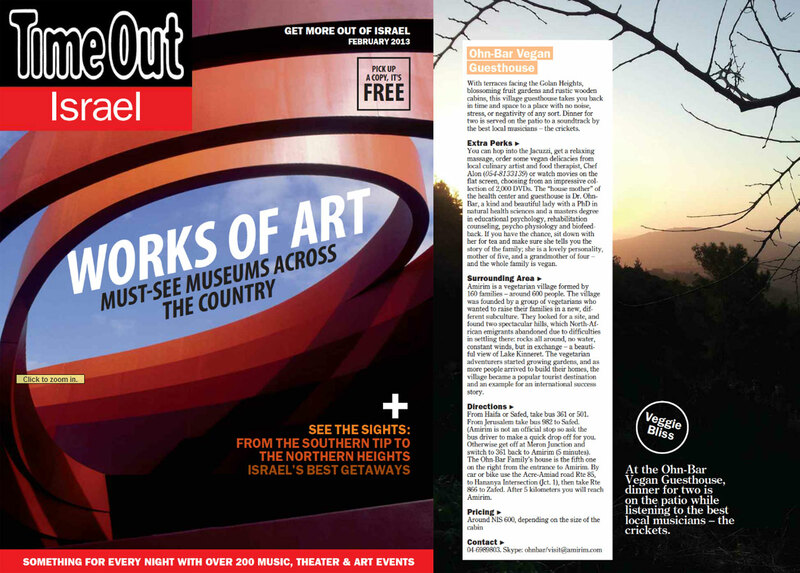 Suitable for a romantic couple, or for a family of 2-4 children. 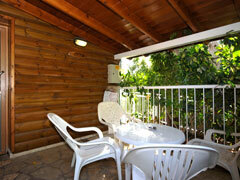 Adjacent is a private wooden-beamed porch - not open to the view and also an open porch.